‘No Trouble’ is the new single from Curse Of Lono, available now on Submarine Cat Records. Taken from the London five-piece’s acclaimed new album ‘As I Fell’, ‘No Trouble’ is a soulful slice of harmony-laden roots rock. The band have been announced as the recipients of the Bob Harris Emerging Artist Award, which will be presented at the UK Americana Awards at Hackney Empire on January 31st. Selected by Bob Harris OBE, this special award celebrates the breakthrough artist, duo or group that has particularly impressed the legendary music broadcaster throughout the year, and previous winners include The Wandering Hearts in 2018 and Wildwood Kin in 2017. The track is taken from Curse Of Lono’s second album ‘As I Fell’, which entered the Official Americana Albums Charts at No. 10 and the Official Independent Albums Breakers Chart at No. 15 in the UK. The album also charted in the NACC College & Independent Radio Chart in the US, was Record Of The Week on Radio 1 in the Netherlands and charted in the Official iTunes Download Charts in the UK, US, Canada, the Netherlands, Sweden, Germany, Austria, Switzerland, Belgium, Spain, Russia, Thailand and The Czech Republic (including four top 10 positions). - 8/10 VIVE LE ROCK! ‘As I Fell’ was produced by Oli Bayston (Boxed In) at Rancho V Studio in Joshua Tree, California, and Flesh & Bone Studios in Hackney. The album is accompanied by a short documentary 'Somewhere In Their Heads' by Gregg Houston (Van Morrison, Noel Gallagher, Two Door Cinema Club, Michael Kiwanuka), which has won Best Short Documentary at the LA Edge Film Awards, the Hollywood Sun Awards, the Golden Gate International Film Festival in Sydney, the Oniros Film Festival in Rome, Feel The Reel International Film Festival in Glasgow, the Mindfield Film Festival in New Mexico and the Calcutta International Cult Film Festival in India as well as the Audience Award at the Sunday Shorts Film Festival in London. Joining Felix in Curse Of Lono, who formed in London in 2015, are Joe Hazell (lead guitar and vocals), Dani Ruiz Hernandez (keys and vocals), Charis Anderson (bass and vocals) and Neil Findlay (drums). 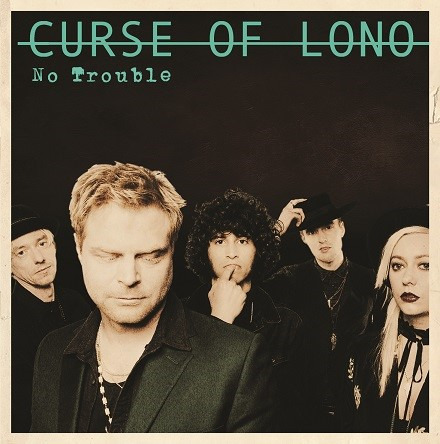 Curse Of Lono completed their first UK headline tour in May, including a sold-out show at London’s Lexington, and appeared at several UK Festivals this summer as well as supporting Steve Earle, Southside Johnny, Cordovas and David Ramirez on separate European tours.